A man was threatened with a metal pole while walking in the street. 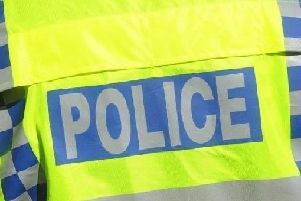 Police are treating the incident, which happened in Oakley Road, Chinnor, at about 2.20am on Saturday October 15 as an attempted robbery. The victim, a 48 year-old man, was walking along the road when he was approached by a man who threatened him with a pole and demanded money. The victim managed to get away from the man, and ran off down Oakley Road. Nothing was stolen during the incident and the victim was unharmed. The offender is described as a white man, around 5ft 8ins. He is described as wearing a hooded parka coat with a star motif, blue jeans and white trainers. He was also wearing a black scarf across his face. Investigating officer PC Michael Goodenough, from the Thame neighbourhood policing team said: “I would like to speak to anyone who may have witnessed this incident or who has any information that could assist us with our investigation. “Anyone with information can contact me via the Thames Valley Police enquiry centre on 101.